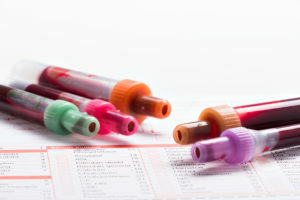 Lab tests are a vital part of your medical care. They give you and your provider detailed, objective data about your health. Whether you need regular blood work or other screening as part of a checkup or specialized tests, St. Vincent Hospital provides an extensive range of services. 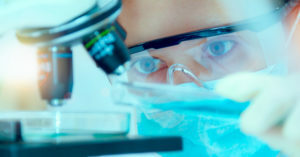 Our goal is to improve the health of our community by providing timely, accurate and cost-effective testing services. As a COLA accredited lab, we are proud to have been chosen for standards that demonstrate a commitment to quality, with an emphasis on reliable test results which are essential in assuring excellence in patient care. Direct Access Testing (DAT) A simple, confidential and inexpensive way to proactively manage your health. In recent years, there has been an increase in consumers who want greater involvement in decisions affecting their health care. DAT enables this involvement, providing individuals more control over their personal health information. This option for lab tests is simple, confidential and inexpensive and offers patients the ability to be proactive in regard to their wellness. With DAT you have the option to order selected lab tests on your own, without a physician’s order. Results will be mailed to you for you to review with your physician. Your payment for the Direct Access Laboratory Test is required up front, by cash, check or credit card. A waiver explaining DAT specifics must be reviewed and signed prior to the draw. Persons under 18 years old will require a parent or legal guardian to sign. Download the DAT Patient form.